Healthy on the inside, shows on the outside. Dietary preference for your four legged kids has been long debated. There are so many varieties and brands that promises this and that. However, don’t be fooled by the marketing puff and do your own research on what’s best for your fur babies. 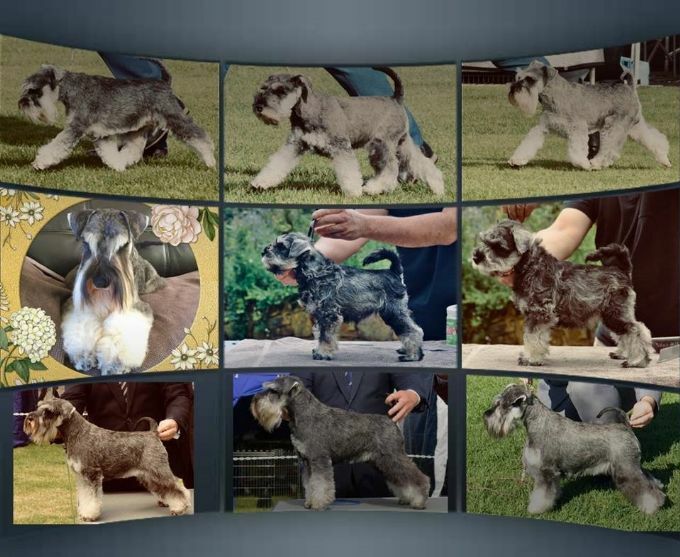 We have been showing dogs for nearly 20 years. Right before we got into the show scene, we had a Boxer named Lexi. She was as sweet and fun as they come. At the age of 11 she was ageing rapidly, with skin irritations, lethargy and incontinence. At that time, we wanted a companion for Lexi and started our search for our fur child. Since we had Lexi the Boxer, we decided to go with a different breed so as to not to replace the irreplaceable Lexi. We decided on a Dobermann for their sleek and athletic appearance and also their intelligence and guarding characteristics. We managed to get Keira from a local well known Breeder who at the time had the most number of Dobermanns that had achieved tremendous successes in conformation dog shows, obedience and working aptitude test to be awarded Register of Merit (ROM). Through this introduction, Angela Brindley of “Kaiela Dobermann” fame, we were shown the natural way of feeding our fur kids. Out with the dry and tinned food and in with raw meaty bones like chicken frames, chicken necks, offal, a variety of kangaroo, beef and lamb mince mixed with freshly blended vegetables such as broccoli, carrots, spinach. Along with that, we added kelp, human grade fish oil, Missing Link supplements as well as multivitamins for humans. The result was amazing on our elderly Boxer “Lexi”! Lexi’s incontinence stopped and her coat rejuvenated and skin became healthy again. Furthermore, Lexi got the typical Boxer bounce back and went on to live until she was nearly 14 years of age. This was sufficient evidence for us to continue with the BARF (Biologically Appropriate Raw Foods) diet. A inspirational Vet and Author for us and who strengthened our BARF knowledge and passion was and still is Dr Ian Billinghurst. To this day, even with our Miniature Schnauzers, we give them all a variety of BARF including fresh raw chicken frames, fresh raw chicken necks, fresh raw sardines and a tiny bit of offal by way of chicken hearts, giblets and liver. Always ensure you supervise your fur kids when they eat the frames and necks to prevent choking hazard. We complement the BARF with some good quality dry food for different age groups and specific to small dogs. Time resources is very limited for everyone who works full time like us but it is very convenient these days to feed BARF as many companies produce them. Our favourite remains that of Dr Ian Billinghurst’s BARF patties. Another brand that we like is the Vet’s All Natural mix, not the ready-made rolls as we find our fur kids drink a lot after consuming these so we have stopped. We soak the mix and mix it with human grade beef mince and package them into small portions so that they can be easy thawed. Last but not least, the above works for us and we recommend that you do your own research and determine what’s best for you.